Though lightweight, the D6 Branch is built from high quality materials making it the ideal blend of functionality, durability and portability. This unit is perfect for any club, bar, stage or mobile show looking to reduce their need for wires, decrease set-up time, and eliminate restrictions on where controllers and fixtures can be placed in relation to one another. 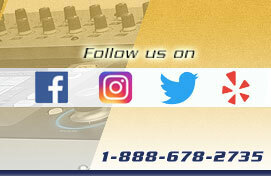 Modernize your light show production today, go professional with the D6 Branch DMX Splitter/Amplifier from American DJ.